Mexican chimeneas are excellent patio fires. 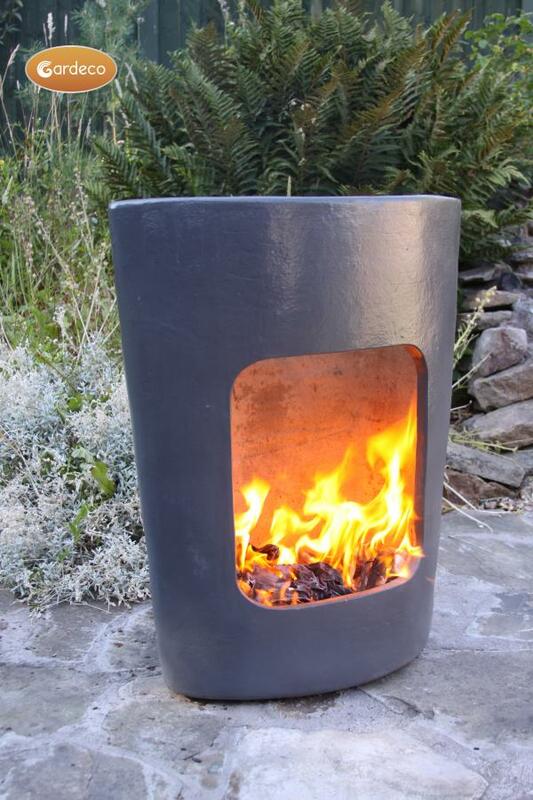 Their structure and design perfected over centuries in Central America make them the easiest chimeneas to light and the most efficient burners. No need for roaring fires the clay becomes hot and radiates the heat. It is important you observe the instructions and maintenance recommendations. 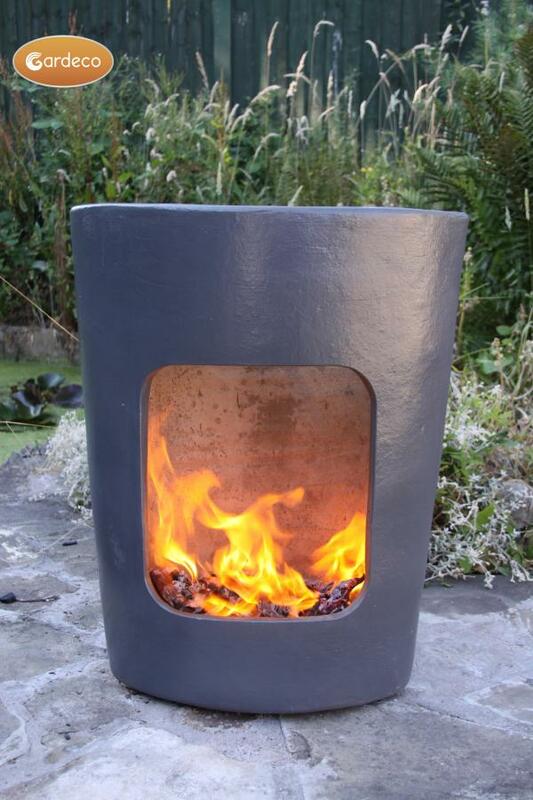 Not all fuels and lighting fuels can be used in Mexican chimeneas and they will need protection from the weather. 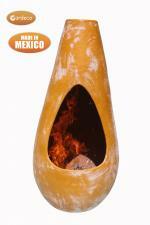 Mexican chimeneas are hand-made and hand-painted so shapes and colours may vary slightly. 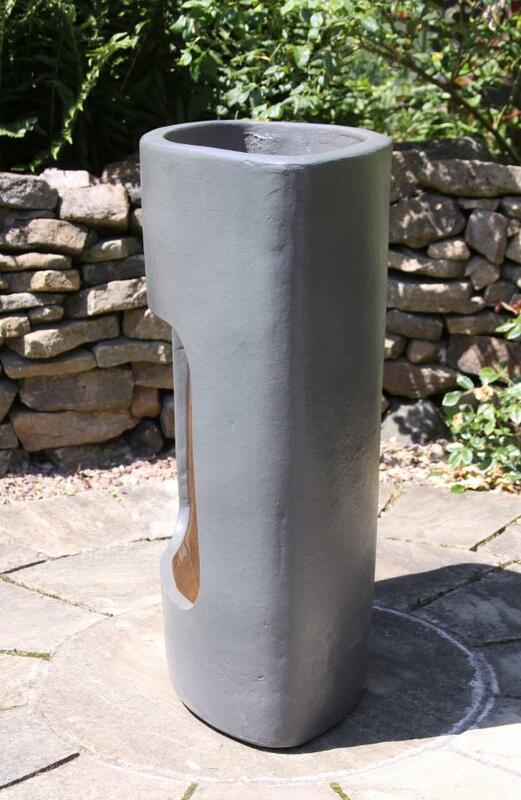 The paint finish on this chimenea will discolour and burn off when fired or if left outside all the time even without firing. Colour changes do not affect use or functionality. Mexican chimeneas can be repainted. Metal stands will rust. Packing Size: 64cm length. 37cm width. 84cm height. This product is produced using mexican clay and,if left outside, will become damaged through the clay becoming moist and cracking. We suggest using a CHICOVER3 in harsh weather to avoid the clay from getting wet. 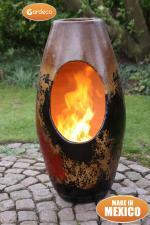 We suggest using our PUMICE-4L, sand or gravel at the bottom of your Chiminea in order to protect from heat damage. 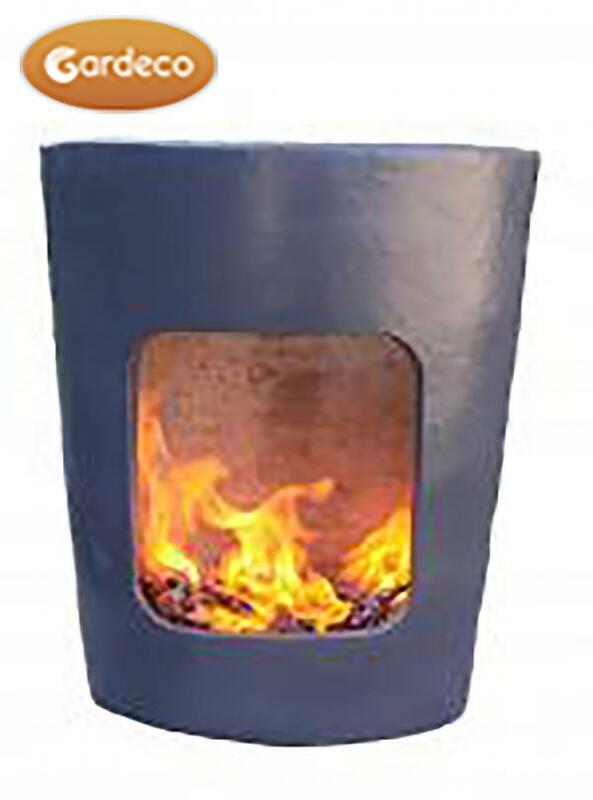 This products most appropriate fuel type is wood.